TAKE SACHIN’S FREE MASTERCLASS…TO ACE YOUR GAME ! 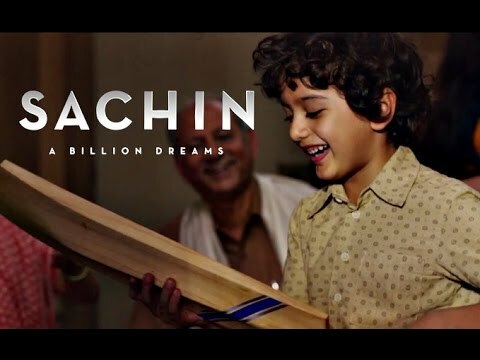 I have heard various criticisms from professional film reviewers, cricket fans and Sachin worshippers about SACHIN- A BILLION DREAMS. What’s new they say? Yeh toh hamme pata hai! 40 cricketing years squeezed into 140 minutes- ofcourse fans wanted more! 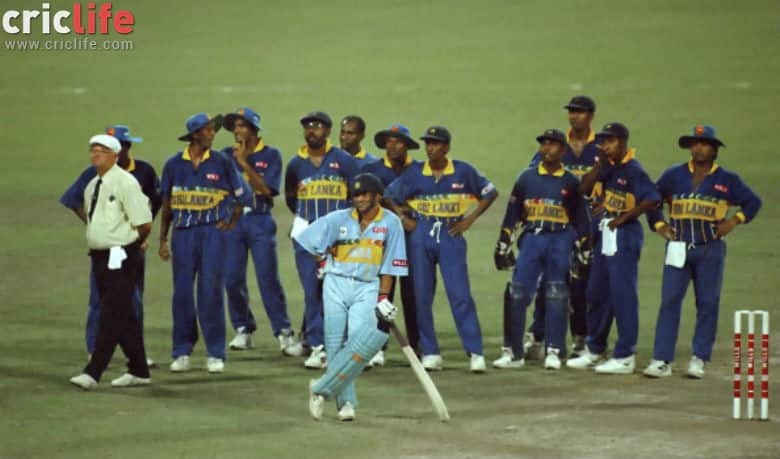 But for a cricket by-stander like me, whose love begins at the start of the match and ends with it, I loved the film- because it means every ordinary person with a dream has the power to rock the world. I had a dream growing up, and I totally understand how a dreamer fuels their passion,beyond all odds. Hardwork feels hard without a dream. Life is not fair. Choose who you want to be. Physical pain, Mental trauma, Emotional setbacks, are just some of the roadblocks en route to being the best in your trade. A broken nose in his debut test series match, did not stop him from playing. Take the best practises from industries other than yours. A fresh perspective, helps not only strategise, but also change the game. Not all targets can be dealt the same way. Sometimes, spin the target on its head and attempt it using smaller goals that add up . 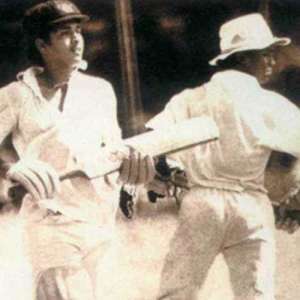 Accepting defeat, being the centre of fans ire during bad performances, having every move scrutinised by experts and couch potatoes, sacrificing family time that will never come back, keeping your cool, never doubting yourself and dealing with team politics shaped Sachin Tendulkar from a middle class poet’s son to a cricketing superstar…. and for that I salute the legend. Here’s what I learnt from watching Dangal. I loved Aamir’s calm composure and ability to drown out the rubbish, through the most difficult times. One of my biggest challenges, Anger, is like Delhi Police With me, for me, always. But the key is to keep what the end goal in mind and not let the journey take the steam away . Babita and Geeta were trained on every things but wrestling equipment in their formative years. Every alternative in the book was devised to give them a wrestling experience closest to the real thing. How many times do we say we don’t have time to learn a new language, or the money to keep our hobby alive? The things that give us the most pleasure and cost nothing are on the bottom of our priority list. A national level coach with the best resources could not help Geeta win an International Championship. We have an inbuilt judgement app, that scans people on the basis of their appearance, designation, or status, and while we try to get their attention, they may not be the right stimulus for us. Geeta lost 3 International titles before it dawned on her that she had refused In house Coach Daddy Aamir Khan’s advice. I take my parents for granted as much as the next kid on the block, but hopefully I will be able to sift through the advice they give me so I can grow into my own. The faster I grow deaf to the log kya sochenge syndrome, the faster I will get on with life. Materialistic dreams are easily attained, but our innermost desires are gathering dust under years of superficial existence. Listen to that inner voice before it fades away. There are sacrifices galore to be made on the road to success… It may have been pani puchkas for the budding wrestlers, in my case it could be anything from sleep, diet or abstinence from the mall depending on what my goal is. Thanks Aamir, for making the difficult journey of Mahavir Singh Phogat and his daughters so inspiring for people like us who have it all and yet seem to be wasting it all away. How else would a psychologist become a DD- Dimaag ka doctor and the pursuit of THE partner be explained as the journey of finding the right chair. Mental illness has always been a taboo, sometimes I think even more than HIV. In true Indian fashion, it took a Deepika Padukone recently to bring the matter to the forefront, and now its SRK and Alia Bhatt who are helping add style and cool quotient to the otherwise stigma. The funny thing about the Dimaag ka Doctor is that in life, we all ‘need’ and actually should ‘visit’ every once in a while. Like the customary eye test, the standard blood tests etc why should our dimaag not get the routine makeover? The brain- a reservoir of feelings, emotions, thoughts, wishes is well guarded by our personal watchman- the Ego and while we think we can handle it all, there are many hints our bodies give us to tell us otherwise… And that’s what I love about Dear Zindagi. It takes a bout of sleepless nights, a physical symptom, for Alia Bhatt aka ‘Kaira’, to gather the courage to go to SRK aka Jehangir Khan, a therapist. The setting of the film is perfect- a young woman cinematographer trying to make her way in the big bad world of movies, constantly in and out of relationships topped with a strained relationship with the parents having to move out of her Mumbai apartment because she is ‘single’. Reality depicted in reel did you say? Yes. The interrogation dinner is enough to send Kaira running off to stay with her friend away from the family madness. Cut to sleepless nights and the entry of the DD ( Dimmag ka Doctor) SRK. ShahRukh’s casual demeanor , cool clothing, super hot beard and most importantly toned down over-acting makes him not only a delight to watch, but also makes one wish for a therapist like him who can help you with the small things in life. As the film continues to dwell into Kaira’s past, her innermost fears and how it has affected her life, Dr Khan not only helps her de-clutter her life, but also makes her fall in love. In my personal case, over the last couple of years my partner and I seem to have automatically become each other’s therapist. Long drives that started as exactly that, long drives, have now become our dimmag ka doctor sessions- a space where neither judges, scolds or tries to offer solutions to the other on problems or those ‘life’ questions that keep popping up. It’s a time that we use to bare our soul, not to the other but actually to ourself. And the fact that it’s done out of the house, actually makes us more vulnerable to open up but less vulnerable to feeling hurt. In the end, the film reminds us yet again, if we don’t learn to ‘ Love you Zindagi’ it’s going to be the most miserable journey you have ever been on!